Oooohhh Lori - it turned out just fantastic!! You have done a marvellous job. I might just have to make myself one of those! Thanks for letting me be your March Cup of Bead Soup "pin-up" artist. Wow, Lori! Looks like so much work went into this creation! You should be very proud, it's gorgeous! Oh Sandi, if you'd ever seen any of Cindy's work, especially in person, you'd know she's one of a kind! Even with the dim lighting, I can see that the necklace is absolutely beautiful! I love the wire work and your "happy accident" worked out wonderfully. 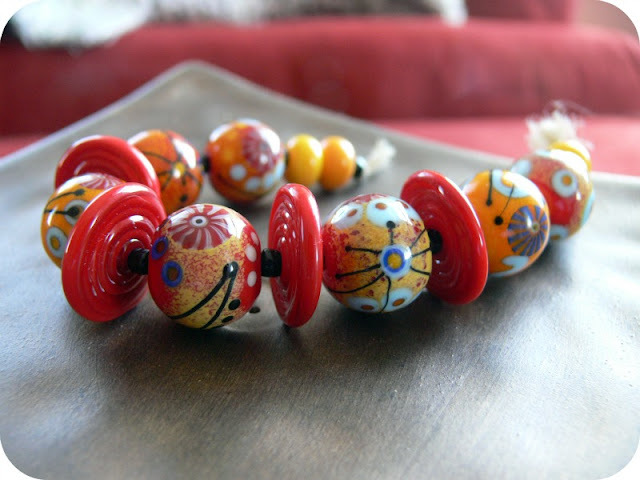 Jane's beads are gorgeous and I will definitely have to visit her etsy shop! That necklace is a stunner. Maybe I'll start making longer necklaces. 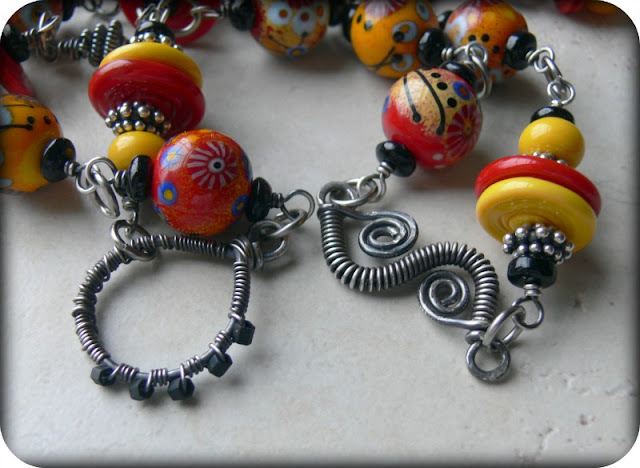 Beautiful beads too! Beautiful! And that's a great point there, at the end. :) Rain or shine, pretty things will always make you smile. Lori, this is ridiculously beautiful. It is all the attention to detail that separates your artwork from most of the other handmade jewellery out there, and I can only sit back and admire your creations in absolute awe. I love it! Those colors are wonderful and cheerful and make me feel happy just looking at it. I love how you put it all together. I'd say you are now a wire worker! Congrats on another beautiful piece of art!!! So lovely! 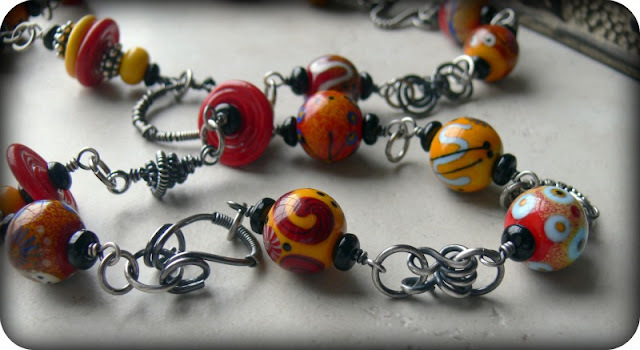 I love all the wire links you did, they bring a little pizzazz to it without taking away from Janes awesome beads! It's really cool. The wirework is the perfect backdrop for those gorgeous lampwork beads! Thats a real looker Lori! Alot of work there! Hi Lori, I love your new piece!! Love all the wire work- that must have been really time consuming. I would love to try more of it though. 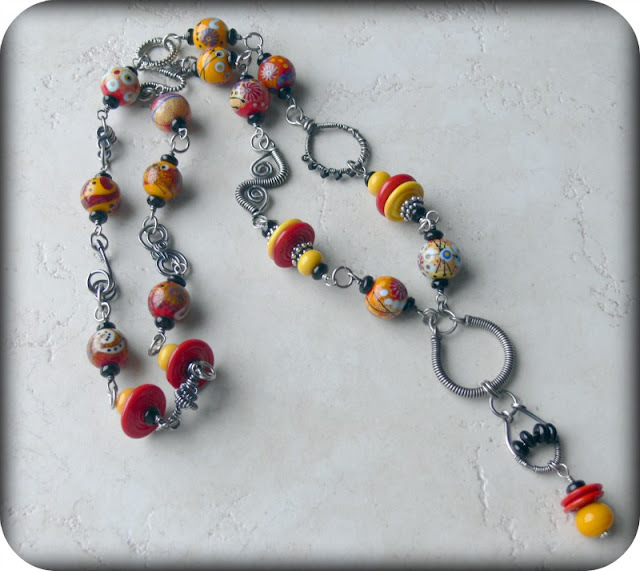 Gorgeous bright reds and interesting beads. 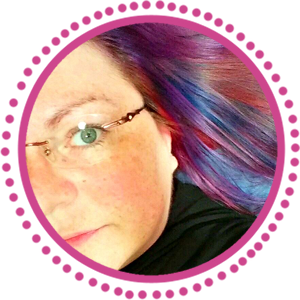 I have been so busy, not so much time to come by, sorry, I am still finishing up my blog hopping from Bead Soup in my little tads of free time. 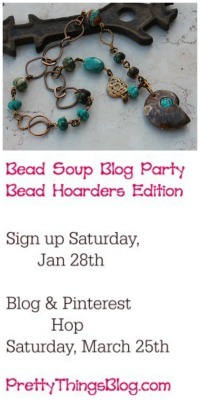 I need to go look at your post about what you want to do about the next Bead Soup. I will talk to you over there. Missed that in the rush of activitiy I have had- Where did March go? Blowin away in the wind! I love those beads. And that necklace turned out spectacular. What a great job showcasing those wonderful beads. Spectacular! I love it with the antiqued silver. 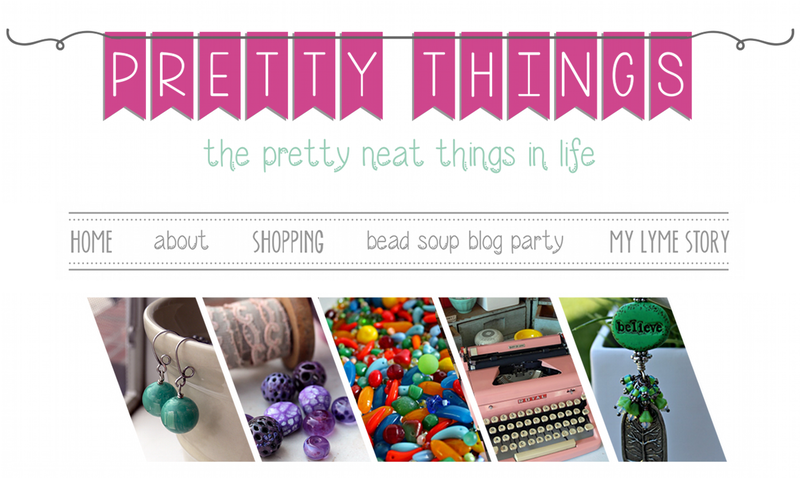 The links you've made are fabulous! I'm so impressed. And I think the photos are great. I always love those colors and I very rarely work in them. The necklace is stunning. Lovely! You did a fab job Lori! Excellent Lori! Such a fabulous necklace you created! Don't be so hard on yourself, your wirework looks grand! I'm sure Cindy would agree! Thank you for featuring Jane this month! She really does some excellent work! Fabulous! (I think Cindy has been a good influence!) And, BTW I am now hooked on Jane Perala's beads. I received my first order from her and I love them! Thank you! Great work! Lori! What a great surprise! You did it! You made your own incredible wirework necklace. I am SO impressed. I just love it! And thank you so much for the mention (blushing). Jane's beads are so amazing. I truly admire her work. Those beads bring sunshine to a rainy day! And I think your wire work is wonderful - a fabulous necklace!!! Amazing! (and I'm with Heidi on the hands - ow!). 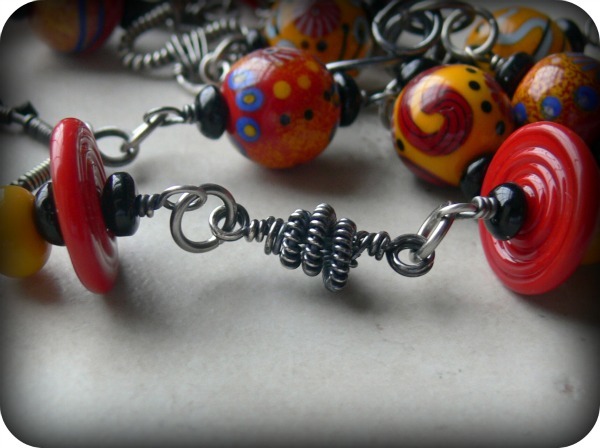 I love jane's beads but you've really brought out the best in them with your wirework. Beautiful! That necklace is fabulous...and so are the beads! Perfection! Wow, wow and wow. The beads are so pretty and you really rocked them with this necklace. Wow - it is absolutely stunning! Jane's beads and all that wire work is fabulous! You rock woman! I can only guess how much time all that wire work took - very good job. 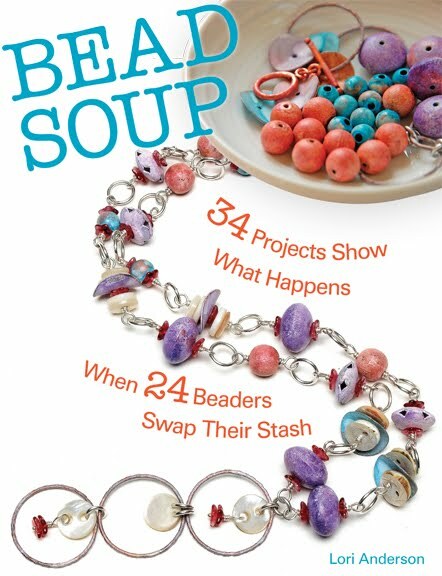 Do you sell the work you create with the Bead Soups? I think you should keep this one for yourself. Also, a suggestion I found works well for endless necklaces: I create an "S" hook type of clasp, just a single extra piece to go with the necklace. That way the wearer can hook the "S" into any of the loops and shorten the necklace, maybe double it, or gather in in front to make a long drop. If you make the "S" hook fairly decorative it can even serve as a second focal. Customers love the option of playing with their jewelry and having more than one way to wear it. 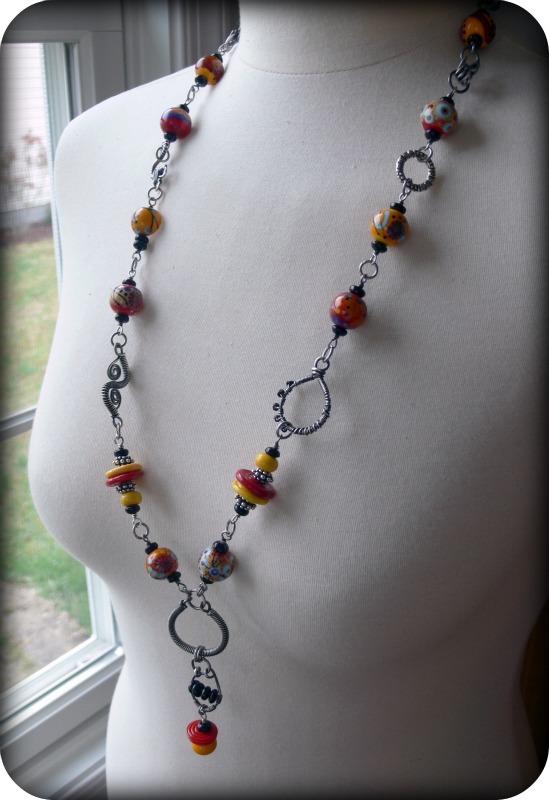 I think that necklace is the perfect accessory for a dreary day, so bright and cheerful and BEAUTIFUL! Gorgeous wirework Lori! Purely Awesome! Love this style. I may have to create a wonderfully linked necklace myself. Long and clasp-less works really well for me! A nice dose of color on a gloomy day. I think the necklace is absolutely gorgeous...personally I'm not a huge fan of reds and oranges but this is a stunner...thank you for showing me how perfect the two colors can look! Jane has a way with color! Very BEAUTIFUL! That would brighten any day. Such pretty beads and great colors! I love what you made with them! OMG Lori - this necklace absolutely took my breath away! I'm finally starting to set a beading area so I can begin trying again. What an inspirtation this necklace is, as are you! That is one outstanding necklace! I love the mix of textures and colors. You hit it right out of the park. Enjoy the day! The sun may not have cooperated - but it's still a stunner! What a beauty Lori, you did wonders with the wire work it really sets those lovely beads off! I have to say that I LOVE this. I love how the colors compliment each other so well. The wire work makes my eyes grow huge. I especially love that it's a long necklace. 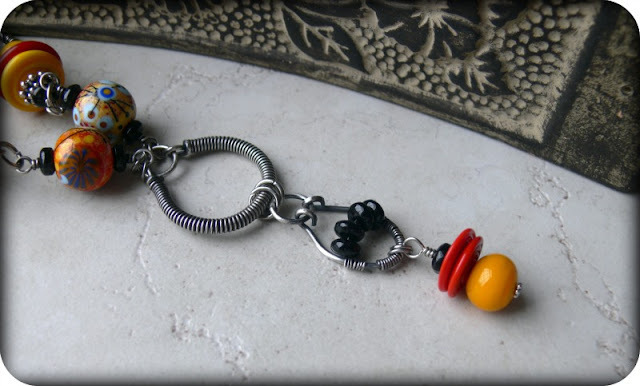 I've been looking for one recently and was thinking about making my own but still unsure of how/what beads to use. It's gorgeous. Those colors and your wirework are a stunning combination! That is gorgeous! yummy beads I love those colors!